Our first summer holiday took us to Rome – the beautiful and culturally rich capital of Italy. 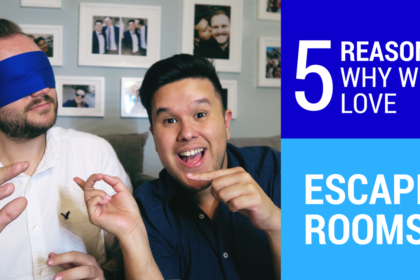 Of course we visited the Vatican and other tourist sports – but what was also important for us were the local Escape Rooms. As usual, we selected a couple of spots that looked promising and went for them. 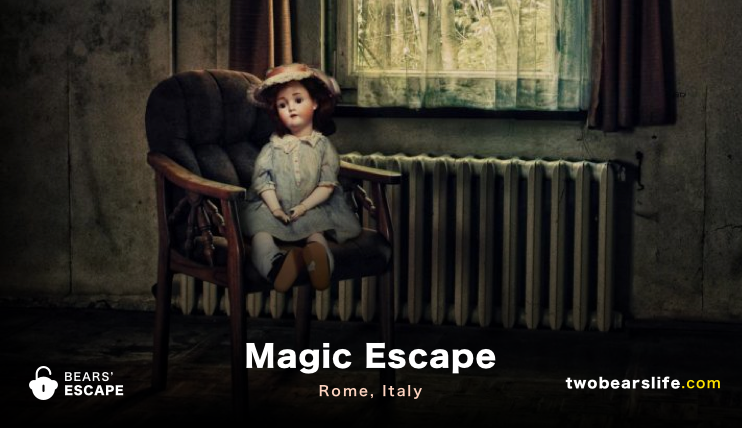 The first one we will Review for you is Magic Escape in Rome. 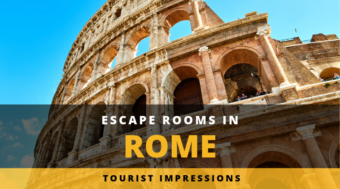 Rome was one of the cities were our usual contacts in the Escape Room Enthusiast World have not played that much yet, so we were kind of only relying on TripAdvisor Reviews and Website impressions for our bookings – which is probably how most people book their rooms anyway, but it was a nice flashback. 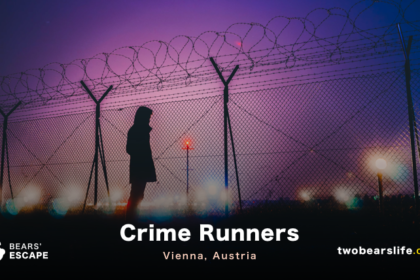 On the other hand, we got pretty nervous about the quality of the rooms we might encounter – and to be frank – with some, those second thoughts were justified. 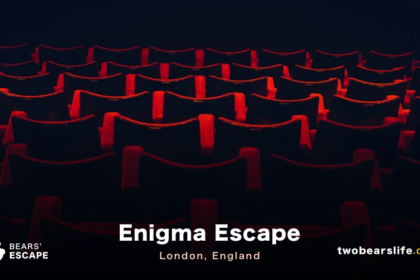 We got attracted to Magic Escape because of their gorgeous website – it is really a little peace of art. We were confused because they did not offer an english version, but the rooms are playable in english – which is definitely confusing. This is a common problem in Rome, which we will go more into detail once we have finished all our Reviews and publish our Tourist Impression Guide of Rome. Harry Houdini, before dying, concealed in his studio a magical testament: a certificate stating that the possessor of this manuscript would become the legitimate heir with full permission to be the next great illusionist / escapologist. We started the briefing for the room outside with our gamemaster, who was really nice, but sadly struggled a lot with english. She had a second gamemaster help her with all the translation, but this was an ongoing issue in the whole room. The setup is really well done – you start in the office of the famous Houdini. It is beautifully designed and they decorated it very nicely. 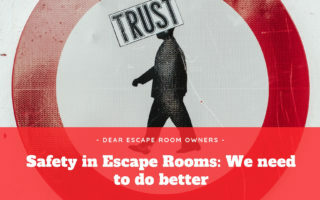 It is not a typical or boring old office that was just transformed to be a cheap escape room – you clearly see the energy they put into it. The task and puzzles that guide you through the room are pretty linear – i don’t think there is a logical way to work on multiple puzzles at the same time. So try not to come in a huge group if you are enthusiasts – on the other hand, there is a lot of searching involved in the room, so more eyes and hands will definitely be helpful. The puzzles themselves were good, some of them had a connection to magic and some even had some cool effects connected to them. Sadly, we did run into problems with the language. Although they advertise their rooms to be fully playable in english, there were a lot of clues inside the room that were still in Italian. They were super nice about it and apologized for every item that they had to switch or tell us on the phone want it meant, but it definitely took away any immersion the room would have been able to create. Because of some language and design problems during the last section of the game, we had to ask for help a lot, we simply did not understand what parts of the game wanted to tell us. Which was a shame – because the experience could have been better if the room itself would have been better prepared for us. Anyway, after a language-based confused final sprint, we did escape in time and we did enjoy the room. Since we had some time left and they had no booking in the Emily room yet, we decided to go for that room too. You have been hospitalized in an asylum and your rooms’ former inhabitant was Margaret … a young woman who was found dead in the shower. The nurses found her hanged … she claimed to have given birth to little girl named Emily, but her child seemed to have disappeared.. Since we had to wait a little bit to be able to play the Piccola Emily room, we decided to walk down the street a little bit and went for a cocktail. We wouldn’t have minded to wait in the Magic Escape location, but the waiting area is quite small and it looked like they are not really able to prepare the rooms without the guests seeing them. So off for a cocktail we went, which may not have been the wisest decision. We are not big drinkers and having some stronger than expected drinks after a long, hot day in Rome effected us more than expected. Anyway, before actually agreeing to do this room with me, we asked if the room is actually haunted or just scary. We were promised it is not haunted, so Alex agreed to do the room with me. A decision he regretted very soon. Before the start of the game we were handcuffed with cable ties and swiftly moved into the asylums dark hallway. They smashed the door behind us, creepy music and sounds started to play and the game was on. The playing area is actually not that big, but standing in the dark hallway with all the noises was an effective start. Alex actually wanted to quit right there. I kept pushing on, finding the lights and we quickly got our hands free too. From this point on, it was mostly me running through the room, while Alex guarded the entrance and the light switch. And than came a portion where we actually had to turn the light off. Which nearly meant the end of the game for him and us. But he kept on strong, at least supporting me with advise from the entrance area. Generally, for some kind of reason, the creepy setup of this room really go to us. Yes, they did not lie to us, there was no human being in that room jumping out at you. But they managed to create an atmosphere were we thought it might happen any second. We also blame the alcohol for our squeamishness in this room, but sure, the have a well designed scary room with Piccola Emily. Some puzzles made more sense to us than users, but to be honest, after dealing with Alex wanting to quit the room half the time and being scared myself, I really do not remember too details. 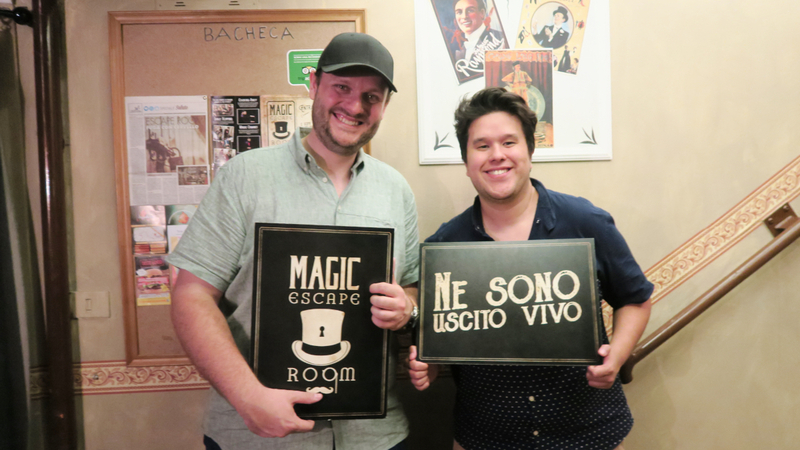 The owner of Magic Escape Rome is actually a magician himself, which explains his desire to open an Escape Room connected to magic. The Houdini-Studio is also the room he recommended to us. And you definitely see the love to the topic in the room. Sure, there could have been a little bit more puzzles in the room itself and it would be interesting which time we would have had, if we actually would have understood all the clues we found in the room. It was just unfortunate that we couldn’t experience the room as it should have been, since the preparation was a little bit sloppy. 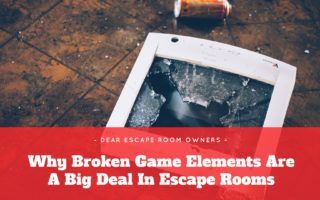 And as we all know, there is hardly a do-over in Escape Rooms, so if you screw it up this one time, it is hard to repeat the room. We did get the sense that they do not often have tourists there though – generally Rome seems to focus more on local costumers regarding their target audience. If you remember, even the Magic Escape Rome Website was not translated to english. 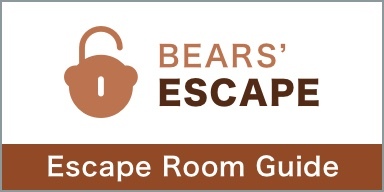 They offer the rooms in this language though – so it should be fair to also expect to not run into issues like finding just Italian clues every second time you are finding one. Anyway – the language problem was actually the biggest issue we had here. The Houdini room was really well designed and had nice puzzles. There is room to add more though – an enthusiast group might speed though the room a little quicker than we did. For “normal players”, that shouldn’t be an issue though. The Emily room was super creepy and they used the location they have really well. The room is not huge and there could be a little bit more puzzles here as well, but the atmosphere worked really well for us. It is a creepy room, and we were definitely scared. The staff was super nice, but struggled with english. There is a super tiny waiting area with some chairs, but they asked us to wait outside at the street both times when they finished the preparation for the rooms (which is okay, it is Italy and it didn’t rain). All in all, we did enjoy the games, but some attention to detail while preparing the rooms and some extra puzzles could put them up to the top. We took the tram to reach the location, which was quite a ride from the city centre. It is located in a residential area and there is a nice icecream place close, if you need to wait a little bit (like we did). The staff was very friendly, but struggled with english quite a bit. We played two of their three rooms: Studio di Houdini is a magic themed search through Houdinis Offices for his will and legacy. Piccola Emily is a scary room where you have to solve a mystery in a haunted sanatorium. Both rooms had their own charm and worked well, with minor issues in preparation-details and puzzle density. All in all, we had a good time, but be prepared for some waiting time and language barriers as english-speakers.